Not content with a bunch of killer announcements, Nintendo saved the best for last: a version of Crypt of the Necrodancer on Switch...with Zelda. 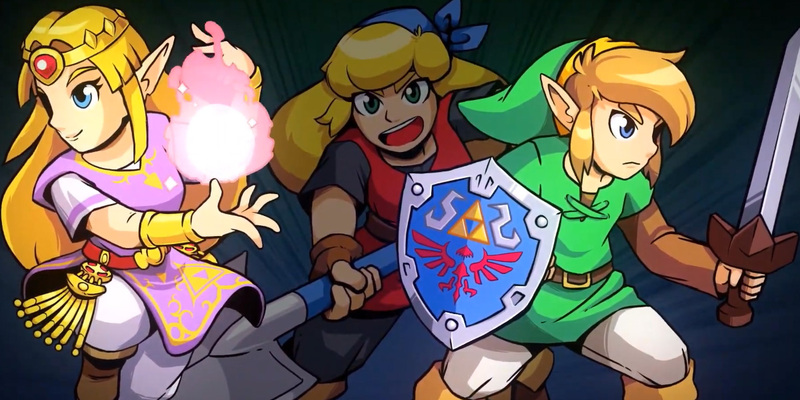 As revealed in the debut trailer, Brace Yourself Games is releasing "Cadence of Hyrule," complete with the same rhythm-centric gameplay as Crypt (which was released on Switch last February), but with Zelda worlds and music as a seemingly new project. The aesthetics are heavily focused around Link to the Past, with many re-imagined enemies. Wait for the music to kick in when you watch the clip below: it's great. Cadence of Hyrule - Crypt of the Necrodancer is due in the spring. Honestly? This could have been an E3 announcement and no one would have complained.